The terms, conditions, and notices set forth herein are subject to change by Primary Flight at any time in its discretion. Your access TO or use of the Website after such changes are implemented constitutes your acknowledgement and acceptance of the changes. Please consult this Agreement regularly. This Agreement applies to your access to, and use of, the Website. Certain areas of the Website may have additional terms and conditions posted or may require you to agree with and accept additional terms and conditions. If there is a conflict between the terms and condition set forth in this Agreement and any terms and conditions posted for a specific area or feature of the Website, the latter terms and conditions will take precedence with respect to your use of or access to that area or feature of the Website. “Buyer” means a User that purchases a Product or Service from a Seller. “Listing” means any offer provided on this site to sell aircraft, aircraft related Products or aircraft-related services. “Primary Flight Content” means all information, designs, data, text, messages, software, sound, music, videos, photographs, graphics, and images, as well as the selection and arrangement of such materials, that is developed by Primary Flight or made available by Primary Flight through the Website. “Product” means aircraft or aircraft-related goods including piloted aircraft, unmanned aerial vehicles (i.e., UAV/drone), aircraft parts or other aircraft related goods. “Seller” means a User offering to provide aircraft-related Products or services through the Website. 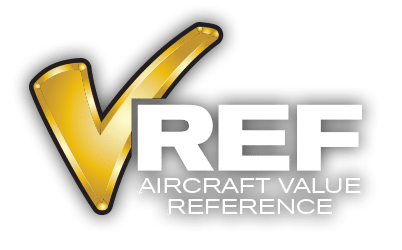 “Services” means aircraft-related services offered by third parties through the site, including but not limited to aircraft repair or aircraft maintenance. “Submission” means all ideas, text, sound, music, video, photographs, graphics, and images that a User posts, uploads, publishes, submits, or transmits through the Website, excluding personal and financial information submitted by a User specifically for Website registration or Website purchases. “User” means an authorized user of the Website subject to the terms of this Agreement, including Sellers and Buyers. The Website is intended to allow you to access aircraft, aircraft-related Listings and other aircraft-related information, to arrange for the sale of aircraft and aircraft-related Products and services, and to facilitate communication and transactions between Buyers and Sellers. although primary flight provides a platform to connect buyers and sellers and assistance with their financial transactions, Primary Flight does not own or control any OF THE GOODS INCLUDED IN Listings ON THE WEBSITE. SALES ARE MADE DIRECTLY BETWEEN BUYERS AND SELLERS. PRIMARY FLIGHT does not verify any information or submissions posted or made available by users. each SELLER and EACH BUYER are responsible for ensuring that ALL FEDERAL, STATE AND local laws, ordinances, and rules permit THE PURCHASE offered in the listing. PRIMARY FLIGHT does not endorse, approve, or verify any BUYER or seller. you acknowledge AND understand that PRIMARY FLIGHT is not a party to any agreements between SELLERs and BUYERs. PRIMARY FLIGHT is not a party to, and does not agree to any liability under the terms and conditions of any SELLER OR BUYER. PRIMARY FLIGHT has no control over the conduct of ANY SELLER or BUYER, or other user of the website, and disclaims all liability for their conduct, whether intentional, unintentional or negligent, to the maximum extent permitted by law. By using this webSite, you agree that any legal remedy or liability that you seek to obtain for actions or omissions of other users or other third parties will be limited to a claim against the particular user or other third parties who caused you harm. You agree not to attempt to impose liability on or seek any legal remedy from PRIMARY FLIGHT or its owners, managers, employees, OR AGENTS with respect to such actions or omissions. To access and use the Website or the resources offered, you may be asked to provide certain registration details or other information. It is a condition of your use of the Website that all the information you provide to Primary Flight, either directly or by import from any third party site, if such importing is supported, will be correct, current, and complete. If Primary Flight believes the information you provide is not correct, current, or complete, Primary Flight has the right to refuse you access to the Website or any of its resources, and to terminate or suspend your access at any time. You are responsible for all activity that occurs under your Website account, including activity by others who have accessed the Website through your account. Primary Flight may change, suspend or discontinue any aspect of the Website at any time, for any reason, in its sole discretion, without notice or liability. Notwithstanding Primary Flight’s efforts to keep the Website accessible continuously, the Website may be unavailable from time to time for any reason, including, without limitation, maintenance. You understand and acknowledge that, due to circumstances both within and outside of the control of Primary Flight, access to the Website may be interrupted, suspended or terminated from time to time. You agree that Primary Flight is not liable for any damages resulting from the inability to access or use the Website. You agree that Primary Flight, in its sole discretion, may terminate your password, account (or any part thereof), or use of the Website and remove and discard any Submission within the Website, for any reason, including, without limitation, for lack of use or if Primary Flight believes that you have violated or acted inconsistently with this Agreement. Primary Flight may also, in its sole discretion, and at any time discontinue providing the Website, or any part thereof, with or without notice. You agree that any termination of your access to the Website may be effected without prior notice, and you acknowledge and agree that Primary Flight may immediately deactivate or delete your account and all related information and files in your account and/or bar any further access to such files or the Website. Further, you agree that Primary Flight shall not be liable to you or any third party for any termination of your access to the Website. use the Website to collect information about other Users or to facilitate unsolicited advertising to other Users, send bulk or junk email, or other unauthorized solicitation. assist any third party in violating this Agreement. By making arrangements between Buyers and Sellers of Products or Services through the Website, you enter into a direct contractual relationship between the Buyer and Seller. From the point at which you enter into agree to buy a Product or book services, Primary Flight acts solely as an intermediary between the Buyer and Seller. The information disclosed on this Website regarding Products or Services is based on the information provided to Primary Flight by the Seller. Primary Flight cannot guarantee that all information is accurate, complete or correct, nor can Primary Flight or its affiliates or agents be held responsible for any errors, interruptions, inaccurate, incomplete, misleading or untrue information (including, but not limited to, inaccuracies relating to photographs of or descriptions of Services), or non-delivery of information. Each Seller remains responsible at all times for the accuracy, completeness and correctness of the information shown (including the prices and availability) displayed on our Website. We reserve the right to refuse service, terminate accounts, and/or cancel orders at our discretion, including, but not limited to, if we believe your conduct violates applicable law or is harmful to the interests of Primary Flight or its affiliates. If we terminate and account or cancel an order for these reasons, you agree that Primary Flight will have no liability for such cancellation. Payment processing services for the purchase of Services through the Website are provided by Bank of America Merchant Services and are subject to Bank Of America Merchant Service’ s terms of service available at https://merch.bankofamerica.com/. By agreeing to this Agreement, you agree to be bound by applicable Bank of America Merchant Services terms of service, as the same may be modified by Bank of America Merchant Services from time to time. As a condition of Primary Flight enabling payment processing services through Bank of America Merchant Services , you agree to provide Primary Flight accurate and complete information, and you authorize Primary Flight to share it and transaction information related to your use of the payment processing services provided by Bank of America Merchant Services . Primary Flight only serves as an intermediary facilitating the process of connecting Buyers and Sellers, and has no control over actions that happen after a Buyer and Seller agree to enter into a transaction including, but not limited to, all shipping and returns of Products. Primary Flight does not guarantee or insure any Product or Service in a Listing, does not guarantee the completion of any transaction, does not act as an escrow service or transfer title, and does not warehouse, store, ship or deliver any Product that is advertised in a Listing. As a result, all shipping and refunds will be coordinated exclusively by agreement between the Buyer and Seller, and Primary Flight cannot provide any refunds or exchanges once your purchase is processed. As a Buyer, your rights and remedies with respect to any Products or Services secured through the Website are limited to those provided by the Seller, and you should contact the Seller directly with any questions or concerns you may have using the contact information provided in conjunction with purchase transaction. In addition, any commission to which Primary Flight is entitled is non-refundable and will not be returned even if the Buyer and Seller later cancel the transaction. Primary Flight may run advertisements and promotions from third parties on the Website related to certain Products or services. Your communications, relationships and business dealings with any third parties advertising or promoting on the Website, including payment and delivery of Products and related Products or services, and any other terms, conditions, warranties or representations associated with such dealings, shall be solely matters between you and such third parties. You acknowledge and agree that Primary Flight is not responsible or liable for any loss or damage of any kind incurred as the result of any such dealings or as the result of the presence of such non-Primary Flight advertisers on the website. The Website may contain services and features that are available to certain mobile phones or devices. For example, you may receive emails and/or text messages containing information related to Listings. Your carrier’s normal rates and fees apply. Not all Primary Flight services will work with all carriers or devices. You should check the rates and services offered by your carrier. By using the Website, you agree that Primary Flight may communicate with you by electronic means, including to your mobile device. If you change or deactivate your mobile phone number or email address, you must promptly update your account information to ensure that we don’t send your messages to a different person. The Website and all Primary Flight Content accessible through the Website are the intellectual property or proprietary information of Primary Flight and/or the party that created the material, and Primary Flight or the party that created the Primary Flight Content retain all right, title, and interest in the Primary Flight Content. The Website and Primary Flight Content are protected by copyright, trademark, and other applicable laws. Accordingly, the Website and Primary Flight Content may not be copied, distributed, republished, uploaded, posted, or transmitted for any commercial purpose, or for any other purpose prohibited herein, without the prior written consent of Primary Flight. The Website and Primary Flight Content are intended for your personal, non-commercial use strictly in accordance with this Agreement. You may not remove or alter, or cause to be removed or altered, any copyright, trademark, trade name, service mark, or any other proprietary notice or legend appearing on the Website or any Primary Flight Content. Modification or use of the Website or Primary Flight Content except as expressly provided in this Agreement or by the proper use of the Website may violate Primary Flight’s intellectual property rights, or the intellectual property rights of the Primary Flight Content’s creator. Neither title nor intellectual property rights are transferred to you by access or use of the Website. Trademarks, service marks, and logos appearing on the Website and on Primary Flight Content are the property of Primary Flight or the party that provided the trademarks, service marks, and logos to Primary Flight or the party that created the Primary Flight Content. Primary Flight, and any party that provided trademarks, service marks, and logos to Primary Flight, retain all rights with respect to any of their respective trademarks, service marks, and logos appearing in this Website. All rights not expressly granted to you by Primary Flight in this Agreement are expressly reserved by Primary Flight. When a Seller submits a Listing, the Seller will be notified of the commission, if any, Primary Flight will collect in conjunction with any purchase associated with the Listing. After any commission collected by Primary Flight is deducted, the Seller retains the right to all remaining compensation for any Product or Service purchased by a Buyer as set forth in the Listing. As a Seller, you acknowledge and agree that the compensation set forth in the Listing (minus and commission paid to Primary Flight) is the full compensation you are entitled to for a transaction through the Website, and that Primary Flight, it licensees, affiliates, successors, and assigns shall be entitled to retain all other revenue they may generate from each Submission and that you will not receive any other compensation for your Submission or its use. exclusive right and license to use, reproduce, modify, adapt, publish, translate, create derivative works from, distribute, perform, and display any Submission, and to incorporate any Submission in other works in any form, media, or technology now known or later developed. Primary Flight will not be required to treat any Submission as confidential, and may use any Submission in its business (including without limitation, for Products or advertising) without incurring any liability for royalties or any other consideration of any kind, and will not incur any liability as a result of any similarities that may appear in future Primary Flight operations. You warrant that you have all necessary permission to submit, upload or post your Submission and that your Submission does not violate applicable law. You further warrant that your Submission does not infringe any rights of third parties, including the intellectual property rights of any third parties. You agree to pay any damages, royalties, fees or other amounts owed to any third party as a result of your Submission. Primary Flight reserves the right, but has no obligation, to monitor use of the Website to determine compliance with this Agreement, as well the right to remove or refuse any Submission or information for any reason. Notwithstanding these rights, you remain solely responsible for the content of your Submission. You acknowledge and agree that Primary Flight and its owners, managers, agents and employees do not assume or have any liability for any action or inaction with respect to any User Submission. Primary Flight reserves the right at all times to disclose any information on any portion of the Website as necessary to satisfy any law, regulation or governmental request, or to refuse to post, or to remove, any Submission or other materials, in whole or in part, that in Primary Flight’s sole and absolute discretion are objectionable or in violation of this Agreement. Primary Flight reserves the right to fully cooperate with any law enforcement authorities or court order requesting or directing Primary Flight to disclose the identity of anyone believed to violate this Agreement. BY ACCEPTING THIS AGREEMENT YOU WAIVE AND HOLD HARMLESS PRIMARY FLIGHT AND ITS OWNERS, MEMBERS, AND EMPLOYEES FROM ANY CLAIMS RESULTING FROM ANY ACTION TAKEN BY PRIMARY FLIGHT DURING OR AS A RESULT OF ITS INVESTIGATIONS AND/OR FROM ANY ACTIONS TAKEN AS A CONSEQUENCE OF INVESTIGATIONS BY EITHER PRIMARY FLIGHT OR LAW ENFORCEMENT AUTHORITIES. If you give notice of copyright infringement by e-mail, Primary Flight’s designated agent for copyright infringement claims may, but is not required to, begin investigating the alleged copyright infringement; However, we must receive your signed statement by mail or as a signed attachment to your e-mail before we are required to take any action. If you believe any content made available in conjunction with the Website violates any trademark or other intellectual property rights you possess, you may use the contact for copyright violations above to bring that issue to our attention as well. The Website may include or contain hyper-links to other sites, which are not maintained by, or related to, Primary Flight. Hyper-links to such sites are provided as a service to Users and are not sponsored by or affiliated with the Website or Primary Flight. Primary Flight has not reviewed any or all of such sites and is not responsible for the content of those sites. Hyper-links are to be accessed at the User’s own risk, and Primary Flight makes no representations or warranties about the content, completeness or accuracy of these hyper-links or the sites hyper-linked to by the Website. Further, the inclusion of any hyper-link to a third-party site does not necessarily imply endorsement by Primary Flight of that site. You understand that Primary Flight cannot and does not guarantee or warrant that files available for viewing and/or downloading from the Internet will be free of viruses, worms, Trojan horses or other code that may manifest contaminating or destructive properties. You are responsible for implementing sufficient procedures and checkpoints to satisfy your particular requirements for accuracy of data input and output, and for maintaining a means external to this site for the reconstruction of any lost data. Primary Flight does not assume any responsibility or risk for your use of the Internet. YOUR USE OF the WEBSITE IS AT YOUR OWN RISK. The PRIMARY FLIGHT Content AND ALL PRODUCTS AND SERVICES AVAILABLE ARE provided “as is” and without warranties of any kind, either expressed or implied. Primary Flight disclaims all warranties, including any implied warranties of merchantability, fitness for a particular purpose, TITLE, OR NON-INFRINGEMENT. Primary Flight does not warrant that the functions OR CONTENT contained in the WEBSITE will be uninterrupted or error-free, that defects will be corrected, or that the WEBSITE or the serverS that make it available are free of viruses or other harmful components. Primary Flight does not warrant or make any representation regarding use, or the result of use, of the content in terms of accuracy, reliability, or otherwise. The content may include technical inaccuracies or typographical errors, and Primary Flight may make changes or improvements at any time. You, and not Primary Flight, assume the entire cost of all necessary servicing, repair or correction IN THE EVENT OF ANY LOSS OR DAMAGE ARISING FROM THE USE OF the WEBSITE, ITS CONTENT OR YOUR INTERACTION WITH OTHER USERS. Primary Flight MAKES NO WARRANTIES THAT YOUR USE OF THE CONTENT WILL NOT INFRINGE THE RIGHTS OF OTHERS AND ASSUMES NO LIABILITY OR RESPONSIBILITY FOR ERRORS OR OMISSIONS IN SUCH CONTENT. PRIMARY FLIGHT ASSUMES NO RESPONSIBILITY FOR ANY DAMAGES SUFFERED BY A USER FROM BUYING OR SELLING AIRCRAFT OR AIRCRAFT RELATED products OR MAKING ARRANGEMENTS FOR SERVICES THROUGh THE WEBSITE, BUT NOT LIMITED TO, LOSS FROM NONDELIVERY OF SERVICES OR PRODUCTS BY SELLERS. YOU ARE AWARE THAT, unless a listing is expressly represented to be from primary flight or a related entity, SELLERS AND THEIR AGENTS ARE NOT IN ANY WAY RELATED TO PRIMARY FLIGHT, AND PRIMARY FLIGHT HAS NO RESPONSIBILITY TO ENSURE DELIVERY OF SUCH GOODS OR SERVICES. All of the information in the Website, whether historical in nature or forward-looking, speaks only as of the date the information is posted, and Primary Flight does not undertake any obligation to update such information after it is posted or to remove such information from this site if it is not, or is no longer, accurate or complete. Primary Flight, ITS SUBSIDIARIES, AFFILIATES, LICENSORS, SERVICE PROVIDERS, CONTENT PROVIDERS, EMPLOYEES, AGENTS, OFFICERS, MANAGERS, MEMBERS AND DIRECTORS WILL NOT BE LIABLE FOR ANY INCIDENTAL, DIRECT, INDIRECT, PUNITIVE, ACTUAL, CONSEQUENTIAL, SPECIAL, EXEMPLARY, OR OTHER DAMAGES, INCLUDING LOSS OF REVENUE OR INCOME, PAIN AND SUFFERING, EMOTIONAL DISTRESS, OR SIMILAR DAMAGES, EVEN IF PRIMARY FLIGHT HAS BEEN ADVISED OF THE POSSIBILITY OF SUCH DAMAGES. IN NO EVENT WILL THE COLLECTIVE, AGGREGATE LIABILITY OF PRIMARY FLIGHT AND ITS SUBSIDIARIES, AFFILIATES, LICENSORS, SERVICE PROVIDERS, CONTENT PROVIDERS, EMPLOYEES, AGENTS, OFFICERS, MANAGERS AND DIRECTORS TO ANY PARTY (REGARDLESS OF THE FORM OF ACTION, WHETHER IN CONTRACT, TORT, OR OTHERWISE) EXCEED (i) THE AMOUNT YOU HAVE PAID TO PRIMARY FLIGHT, IF ANY, FOR THE APPLICABLE CONTENT OR SERVICE OUT OF WHICH LIABILITY AROSE, OR (ii) ONE HUNDRED DOLLARS ($100), WHICHEVER IS LESS. You will indemnify and hold Primary Flight, its subsidiaries, affiliates, licensors, content providers, service providers, employees, agents, officers, managers, members, directors, and contractors (the “Indemnified Parties”) harmless from any breach of this Agreement by you, including any use of Primary Flight Content or Submissions other than as expressly authorized in this Agreement. You agree that the Indemnified Parties will have no liability in connection with any such breach or unauthorized use, and you agree to indemnify any and all resulting loss, damages, judgments, awards, costs, expenses, and attorneys’ fees of the Indemnified Parties in connection therewith. You will also indemnify and hold the Indemnified Parties harmless from and against any claims brought by third parties arising out of your use of information accessed through the Website. This Agreement will be governed and interpreted pursuant to the laws of Florida, United States of America, notwithstanding any principles of conflicts of law. You specifically consent to personal jurisdiction in Florida in connection with any dispute between you and Primary Flight arising out of this Agreement or pertaining to the subject matter hereof. The parties to this Agreement each agree that the exclusive venue for any dispute between the parties arising out of or relating to this Agreement or pertaining to the subject matter of this Agreement will be in the state or federal courts in Orlando, Florida. You agree that no joint venture, partnership, employment, or agency relationship exists between you and Primary Flight as a result of this Agreement or your use of the Website or the information, products or services available through the Website. You may not assign or transfer this Agreement, by operation of law or otherwise, without Primary Flight’s prior written consent. Any attempt by you to assign or transfer this Agreement, without such consent, will be null and of no effect. Primary Flight may assign or transfer this Agreement, at its sole discretion, without restriction. Subject to the foregoing, this Agreement will bind and inure to the benefit of the parties, and their permitted successors and assigns. Last updated: October 13, 2017.